In Gretchen McNeil’s murder mystery novel we are introduced to a group of ten teens. We first we meet best friends Meg and Minnie as they arrive on the island where popular girl Jessica is holding her extremely exclusive weekend-long party that the girls were invited to. Although not all of the teens know each other before arriving for the party they are all connected in some way. With their host held up and unable to make it to the house until the next morning the group take to making themselves at home and getting to know one another. Looking for something to pass the time they decide to raid the DVD shelf but find only empty cases. About to give up they then stumble across an unknown DVD and decide to watch it. What they find is unexpected, a homemade video full of creepy words and images and soon after strange things start to happen to the teens as they come to realise that one of them must be a murderer. Despite all of the twists and turns I did unfortunately correctly guess which of the group was the killer, however I didn’t quite manage to guess all of the details so there were still a few surprises in store along the way. Having not long before read, and very much enjoyed, James Dawson’s somewhat similarly premised novel Cruel Summer I was intrigued to see how US based novel Ten would compare. If you only pick up one murder mystery novel this Halloween I’d go with Cruel Summer, however if you’re a fan of the genre why not pick Ten up too! 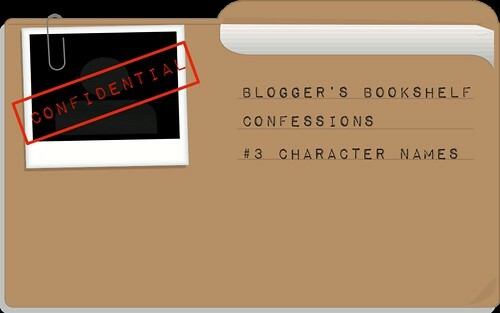 Our bloggers confessed some thoughts on unusual characters name our latest Book Confessions post. As a follow up to our Bookshops vs Buying online group post, guest blogger Emma posted some thoughts on Amazon Or Bookshops? 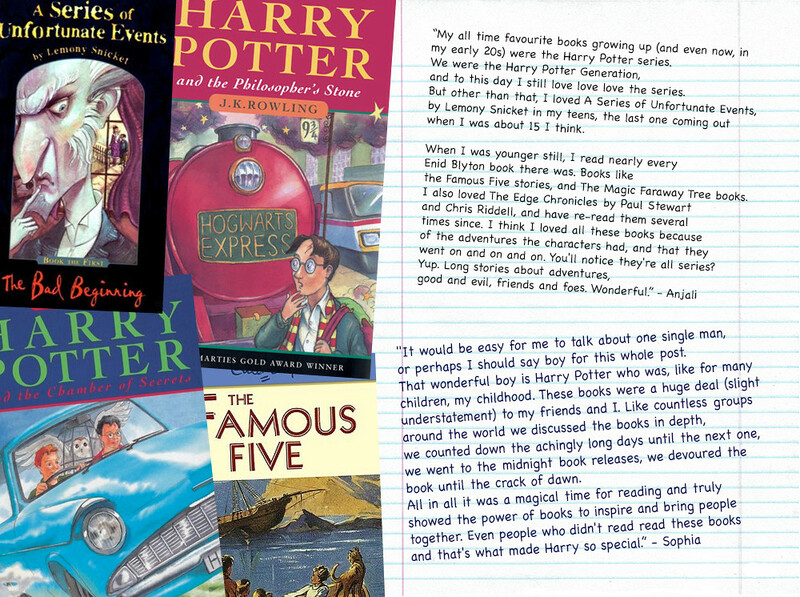 And finally this month's group collab saw our contributors delve back into their childhood to reminisce on the Books We Grew Up With! In next group post we'll be talking 'Scariest Fictional Worlds' to coincide with Halloween! We want to hear about which fictional worlds & places you find terrifying, which cities filled with supernatural beings you just couldn't stand or which dystopian society you would hate to live in! However you'd like to interpret the topic we'd love to hear from you. Drop us an email, tweet us or post to our GoodReads page by October 15th to have your answer included in the post! This was an interesting little book. It is set in Finland, which I can't say I have read about before. Rabbit Back is a town where we find Ella Milana, possessor of beautifully curving lips. She is a substitute literature teacher, and her newest assignment brings her home to stay with her parents. We soon find out that the town is famous for being the birthplace of Laura White, children's novelist of the series Creatureville. 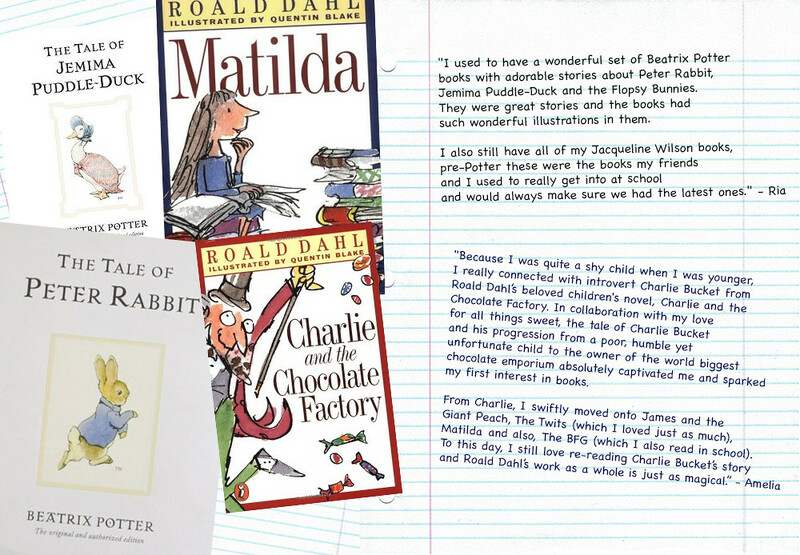 Laura White created a group called the Rabbit Back Literature Society, whose members she hand-picked for their writing ability. It was her ambition to turn these hopeful kids into novelists, and that is exactly what has happened. Years later, there are whispers of who will become the tenth and final member of the Society. 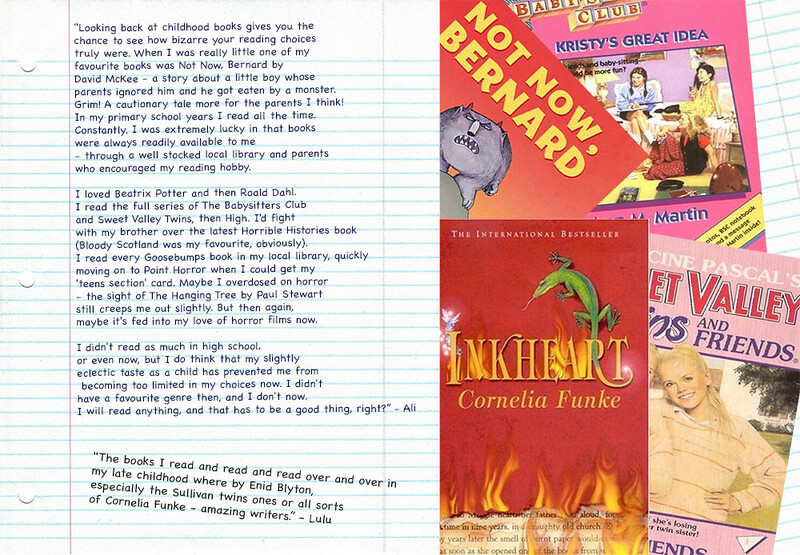 A folder of children's essays is kept at the local school for Laura White to peruse, if she wishes to find a new member. However, to Ella Milana's surprise, it is her submission to the local newspaper's fiction feature that earns her a place in the esteemed group. She cannot believe it, but is very excited and proud to attend a welcoming ceremony in her honour. She is to be personally welcomed in front of the people of the town by Laura White at the famous author's own home. In the middle of the party, Laura White disappears into thin air in front of everyone, and in her place a snowstorm rages through the house, smashing windows and attacking guests. Nobody can fathom what has happened to Laura White, but Ella is still technically a member of the Society - and the journey she is taken on as a member is eye-opening to say the least. I went into this novel not knowing what to expect. At first, I did enjoy the idea of a famous novelist. We get to know Ella herself, and that she does not think a lot of herself and her flaws. Her mother cares for her father who has something like Alzheimer's disease, but rather than talk to her mother, Ella is rather introverted and keeps to herself. She finds out that something strange is happening to the books at the library - the stories in the novels are changing, somehow. The plots are becoming completely unrecognisable. 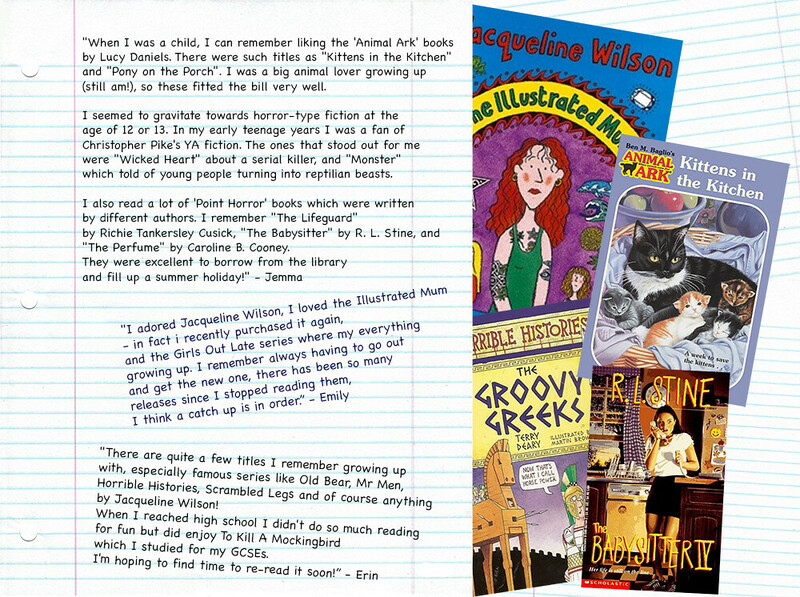 When Ella mentions this to the librarian, who is also Society member and author Ingrid Katz, she says that the book must be taken out of circulation immediately, and no more is said on the matter. It is an intriguing mystery to start off the novel. Ella is certainly the type of character who will not give up until she finds all the answers. The real "meat" of the book comes when Ella becomes a member of the Rabbit Back Literature Society, and finds out about something called The Game, which members play between themselves secretly. This allows her to get to know her fellows in intimate detail. I should not say more, or it'll ruin the story for you. This was a book that was hard to pin down. I didn't really know what the genre was, or what the goal was of the narrative. I didn't know where it was leading. There were a fair few questions which were never answered, but by the end that doesn't really matter. I would like to have known more about Laura White's life. She's so very enigmatic and such strange things happened around her. I think this would be called Literary Fiction, but there were definitely senses of mystery, magic and fantasy woven into the narrative. Some of the relationships that Ella forms with other Society members are strange to say the least. We never really get to know them, which is a very strange feeling, seeing as we get to know very private details. It feels like there is never a full picture of anyone, and it feels like Ella hardly knows herself anyway. Perhaps that vague feeling we have when reading is because of Ella's uncertainty and reserved nature. None of the characters were particularly my favourite. I thought the society members were rather cruel to one another and there was no wonder that they stopped talking to each other. However, despite this unpleasantness, there was still plenty to keep me hooked, to keep me reading. The paragraphs/chapters did a good job of making me want to know what happens next. We would be given a taste of something, which would later be revisited. It was like being delicately drawn into an intrigue. I very much liked the idea of the books evolving, becoming new stories. I did appreciate the writing style used - thank you very much, translator. It just felt very weird all the time. I would recommend reading this, just to see what you think of it. It is intelligently written and has a mysterious feel to it without ever getting too close to anyone, and will keep you guessing. Guest Post | Amazon Or Bookshops? Following our August group discussion on Bookshops vs. Buying Online, today we have one of the post's contributors Emma expanding her thoughts on the topic! I usually buy my books online, usually the book depository because of the free shipping (and the free bookmarks) but also Amazon and the BookPeople (I choose whichever is cheaper at the time) but I only really shop online because it is cheaper and usually they have a wider range than at my local Waterstones or WH Smith. However, I do make sure that I purchase at least once from a bookshop, if I was to be making more than one order of books a month. Where I live there isn't any independent bookshops as they have all closed down, and to be honest there wasn't that many of them in the first place. I love independent bookshops as they are all unique and no two shops are the same and I wish there were more campaigns like Books Are My Bag to help the indie shops stay alive and booming. I use to have a Kindle but sold it because I just never used it so instead I now have the Kindle app on my IPad but I very rarely use it unless there are books I am unsure about, if I read them on the kindle and like them then I will always buy a physical copy. I also used my kindle app to read Game of Thrones and will continue to do so even though I have all the physical copies because they are too heavy and I was taking them to school so it was more convenient. I would consider myself a collector of books and I like to be able to see my selection in real life to choose what I want to read. I understand why people now prefer to get ebooks because in the world that we do, people will find anything to make things more convenient and for a cheaper price and ebooks offer that option. Although saying that I am not under the impression that books will ever stop being produced, at least not in my lifetime, because for every ebook buyer there is a physical copy buyer as well. To be honest, as long as people are reading and enjoying the novels that authors pour their hearts and souls into then I am not really concerned about how they get it or through which median as long as they are buying them and contributing to the industry and giving the author the money for their work I am not bothered. Reading should be encouraged and never looked down upon regardless as to HOW or WHERE you get your books. This unique books details the life of Joey, a thoroughbred horse whose life dramatically changes when he is dragged away from his life as a farm horse and taken straight into the heart of WW1. I had heard great things about this book before I read it, then the adaptation into film forced me to grab he book off the shelf and start reading (We all know it's book first, film second). I was surprised and equally impressed to find that the book is written from Joey's perspective, it's unique and gives a very different impression of the war. This story is heartbreaking, uplifting, terrifying and emotional. 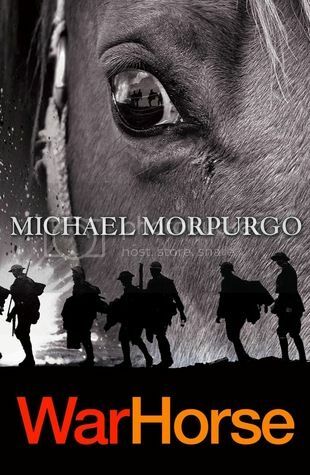 Morpurgo captures the essence of war and tugs at your heart strings, I cried... boy did I cry when reading this book. I really enjoyed the contrast of characters in this book, it was almost as if for every character that I loved there was one that I disliked but even those that I disliked had a purpose, there was a reason as to why they were like that, whether this be job or way of life. I don't think anyone can dislike Joey as a character, how can you not like a horse?! His determination, his strength, his love all made me wish I had a horse! I was terrified throughout this book of how things were going to turn out in the end, but luckily I didn't have to worry. The war scenes are heart-breaking, the description is enough to make you feel that you are stood there with it all happening around you. I have not read an author who can create imagery quite like Morpurgo can. As for the film, well I watched it last week and I did enjoy it, it didn't make me cry though... so there must of been something missing. Let us know if you have any other favourites in the comments! Thanks to this month's contributors: Anjali, Amelia, Alison, Ria, Emily, Sophia, Erin, Jemma, and Lulu. 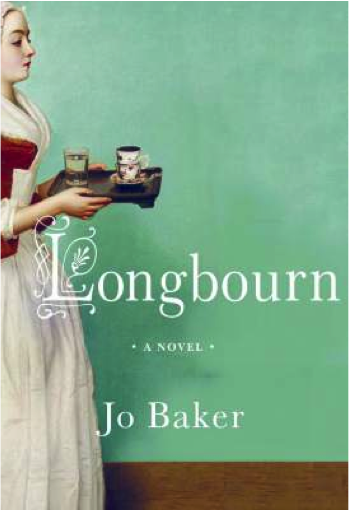 It is wash-day for the housemaids at Longbourn House, and Sarah's hands are chapped and raw. Domestic life below stairs, ruled with a tender heart and an iron will by Mrs Hill the housekeeper, is about to be disturbed by the arrival of a new footman, bearing secrets and the scent of the sea. If you're anything like me (not short and obsessed with frozen yoghurt but a major Jane Austen fan) then you would probably jump to read a novel that has anything to do with Pride and Prejudice, right? This leads me to Longbourn. The events of the book take place alongside the events of Pride and Prejudice which are detailed and experienced s through the characters of the 'downstairs' who also have their own saucy dramas going on! Think Downton Abbey, solely about the help and hearing about Edith and Mary's love lives through them. I thought initially that I would either love or hate this concept for a book. I thought I might constantly compare it to P and P and it would come up short, because let's face it, most things would. However, I found that when I looked at it as a novel in its own right I thoroughly enjoyed it. Longbourn really captured the working class perfectly and gave me a whole new insight into the era through a completely contrasting different social class. The most obvious difference was the fact that this is a modern book so Baker goes further with the love scenes and language and on the whole it's more...gritty, which is very reflective and fitting of the class it is representing. Sarah, the lead, is very different to Lizzie but makes for a fascinating narrator in herself. There are some very interesting and varied characters and the appearance of a mystery footman, James and the subsequent love story definitely made for an interesting read. Also since watching Pride and Prejudice I have given more notice to the background characters and it has actually given me more enjoyment of the original. As well as this Jo Baker's work is very well researched and she has effortlessly integrated the characters without it appearing like she is changing or reimagining the Austen world we love so much! Yet despite this the novel never feels too familiar and the main storylines and characters feel very original and fresh. Okay, so what's not to like? Well, as a avid fan of Pride and Prejudice, it was hard just getting snippets of the storyline we know and love here and there and it made me want to pick up the other novel instead! As interesting as these original storylines were I didn't find them AS classic as well, the classics and....I missed Darcy, there I said it! There was also a slight addition to Mr Bennett's romantic history that didn't sit too well with me, however I will leave that up to you all to forge your own opinion. All in all though these are all picky points and as I have already mentioned, if you step back and view this book as a completely separate entity, then it is a very fun, interesting read. Moreover, a film adaption has been commissioned and it's always nice to read the book beforehand, no? I'm already trying to think of which beautiful actors they might cast...am I being shallow? Perhaps... So, if you love a good period drama, some romance and a little mystery then I would definitely, definitely recommend this book! I would give this three enthusiastic stars! This post was written by guest blogger Sophia, check out her blog Small & Happy or follow her on Twitter @sophiacristina. This is the story of a little hen named Sprout who dreams of the open spaces the lie beyond the barn she resides. Unhappy with her lot in life simply laying eggs for the farmer and his wife to sell at market, she conspires to escape to the outside world where the other animals are able to roam free. And once outside the barn doors and farmyard fences she plans to finally hatch an egg of her own. Short and sweet pretty much sums up my feelings about this one. 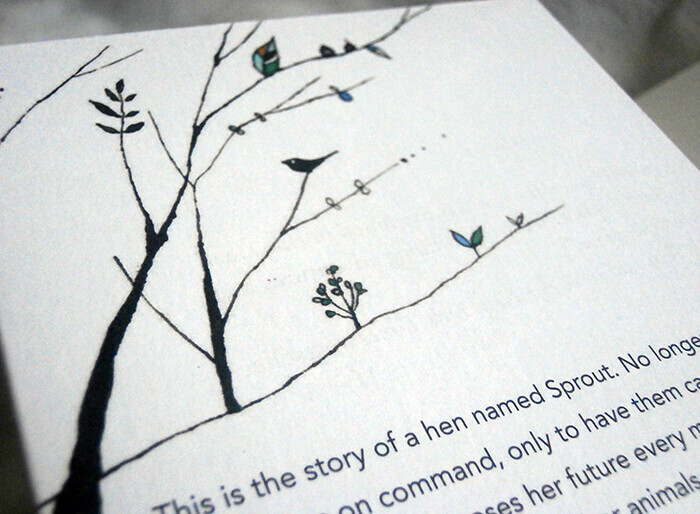 ’The Hen…’ is a fable style tale following our plucky protagonist Sprout and her journey to the outside of the barn. Once out she encounters a number of other animals including the duck, the rooster, a whole myriad of other farm animals and the creeping weasel. 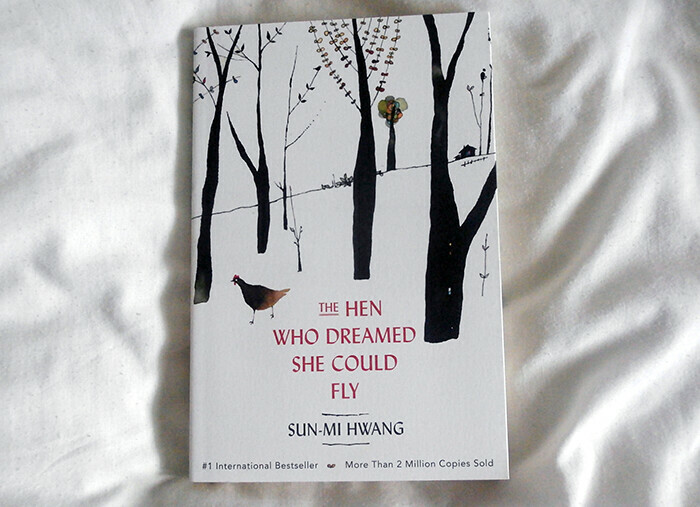 As the English-language translation of the Korean folk story, ’The Hen…’ reads as a morality tale with themes of the importance of family, tradition, friendship and unconditional love. Behind the lovelier story of Sprout discovering the open spaces outside the barn and her dreams of freedom and motherhood, there are also are darker tones of the harshness of reality, loss of loved ones and the dangers of straying too far from home. Ultimately Sun Mi-Hwang’s story is a heart-warming tale of the bravery of a little hen with big, bold dreams. I also wanted to highlight the gorgeous illustration both on the cover and within the book itself, which is what really caught my eye with this one, and provides a perfect accompaniment to this little tale. "There's nothing more distracting in a book that a name I can't work out how to pronounce or is so 'out there' that it just doesn't seem realistic. You can usually get away with unusual names in the fantasy or sci-fi genres (depending on how far in the future the book is set), but if it's a contemporary novel set in the real world I can't stand unusual names for the sake of being unusual or because they have a hidden meaning behind them. Sometimes it's nice to read about someone called Sarah or John!" "I am one to find silly character names distracting, as I think you can loose the immersive element that you can achieve from reading, the silly name can bring you crashing back to the reality, one prime example would be 'Renesmee' from Twilight Saga: Breaking Dawn." "I love ridiculous character names - I just love abstract or strange names in general. A name from a book that's stuck with me for years would be Indigo. I love the name Primrose, too! Kevin is a name I absolutely don't like." "I find silly character names so annoying!! To the point where my brain will actually switch off and rename the character to a simple, easy to pronounce name that begins with the same letter such a Frank or Sarah. I then will always use that new name throughout the book but also I tend to forget they had a different name and will use that name if discussing with a friend for example and then I get strange looks." "For me, character names are an important part of the story. If the name is believable for the genre/time period, then that is usually fine, but something that doesn't fit will bug me the whole time. I think it's annoying when authors alternate between using a character's first name and surname - that can be very confusing, especially if the surname could also be a first name! I also enjoy unusual characters having unusual names, particularly in fantasy novels. Some notable names from books I read this year: Helen Bunion (unfortunately, not a foot doctor - she is a therapist), Biba Capel (short for Bathsheba - a dramatic name for a dramatic girl), Andrew Ryan (who is referred to as both "Andrew" and "Ryan"). Special mention: 'The Time Machine' and 'The Invisible Man' by H. G. Wells include protagonists who are never named - only called "the time traveller" and "the invisible man". This makes for a very impersonal relationship with the main character, which is not my favourite method." "When I think about names that I've found silly or distracting, one immediately springs to mind: Augustus Waters. Sorry, not buying into a romantic lead called Augustus. No way. Not happening." Thank you to all of our anonymous contributors! 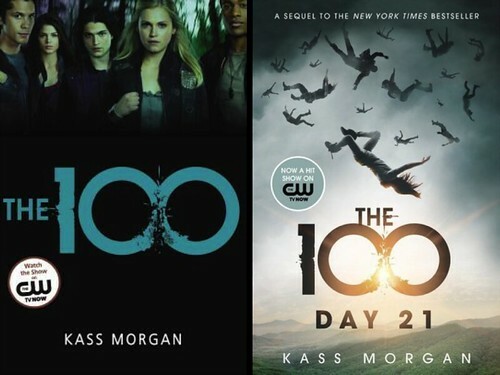 The idea behind the 100 series may seem rather familiar to some of you as it has recently been adapted into a TV series by US network The CW but today I'm going to be discussing the original books. The novels follow a group of teen criminals living in space years after a nuclear apocalypse left the Earth uninhabitable. Although the ship has been home to several generations the real story begins when 100 of the teens are chosen to be sent back to Earth to investigate as oxygen on the ship is running out quickly, putting everyone's lives at risk. At first I found it difficult to get into the story of The 100 which is a shame as I thought the premise sounded intriguing. I had expected it to be more of a survival story but instead found it to be very focused on the various relationships between the main characters. The teens we meet are Clarke, Wells & Bellamy who are all sent down to Earth, and finally Glass the only one of the group who remains on the ship. The chapters alternate between these four characters who are all connected in some way and although I thought it was interesting to include perspectives from both on and off the ship, in this case I didn’t feel that the multiple points of view on the ground necessarily added much value to the story. Something else I was disappointed in was the lack of solid world-building which definitely contributed to the fact that I didn’t feel like I could really invest in the characters and their stories. In addition it didn't feel like much actually happened in the book plot-wise and sadly overall it left me feeling underwhelmed and with a lot of unanswered questions. In an attempt to enjoy The 100 more I also dipped in and out of the first few episodes of the new TV adaptation but sadly I couldn’t muster up much enthusiasm here either. Still, I persevered and picked up the second book in the hope that it would contain more answers, and more of the survival tale I was hoping for. Newly released sequel Day 21 picks up where The 100 left off and whilst still fairly focused on the relationships between the characters also starts to give more of an insight into what’s been happening on Earth and how the Colony became to be. For me the fact that the world-building was stronger and new elements were added meant I enjoyed the second book more than the first. Although overall this series isn’t one of my personal favourites I still believe the premise has a lot of potential and perhaps a third instalment could be very interesting. Fans of the TV adaptation may be surprised at some of the changes from the original novels but will most likely enjoy these reads! 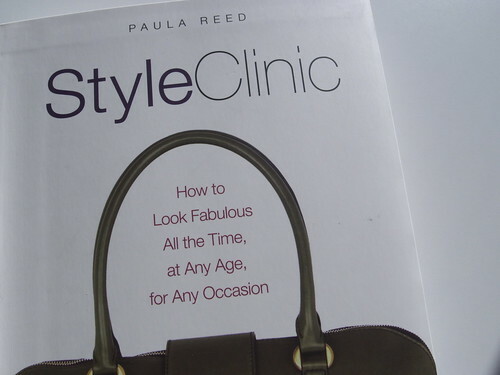 StyleClinic: How to Look Fabulous All the Time, at Any Age, for Any Occasion by Paula Reed is not the type of book I usually go for. I'm not a fashion freak or in any way an expert when it comes to fashion. But I like clothes (especially buying them) and I think I have a pretty good idea about what suits me and my personal style. So, because I don't see myself as an expert I was really happy when I received StyleClinic as a gift from a friend. I'm always up for learning new things! But I have to admit that I was pretty unimpressed with this book. Sure, it was an easy and quick read and the book is nicely structured with a lot of information and pretty decent pictures. But I even if I'm not a fashion expert there wasn't a lot of information in this book that I didn't already know. The advice in this book is mostly really obvious. But the most annoying thing about StyleClinic is that the author keeps going on and on about that there's no rules when it comes to style and that you're supposed to wear what you feel and look good in. And then a few pages later she still throws a bunch of rules in my face! - Don't wear black if you're blonde and pale! Don't do this and don't do you ever do that! - Hey! You just told me I should wear what I feel and look good in!? And I happen to be very blonde and very pale and look pretty good in black (yes, this is me having a conversation with a book). I just found this really annoying. It's like those magazines that tell girls that they should love their bodies and then tell them how to get skinny. That's just stupid and annoying. I can live with rules as long as the author don't start with telling me; There's no rules! As you've probably guessed I didn't really enjoy StyleClinic by Paula Reed. Sure, I probably picked up a few tips and tricks, but it wasn't worth it. I'm still open to try another book in this genre because a book like this could be both a lot of fun and maybe even a bit useful. So if you have a recommendation on a book in the fashion/style genre that isn't full of BS, please let me know! Jessica Banks has been living a fabulous life in London and dreads anything to do with her home back in New Zealand. 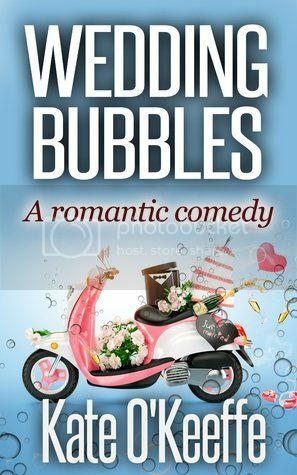 In this first short story she is dragged back for a wedding and in the second it's back for good, much to her dismay! She's back living with her Mum, struggling to settle into a town which she detests, Maybe a new man can bring a light to her miserable tunnel. I read these books on the plane back from India, they were some much needed entertainment on a 10 hour flight. The first short story was a taster, I instantly liked the character of Jessica and was looking forward to reading more in the next full length book. I went through many different emotions whilst reading this book, as previously sad I liked Jessica, I felt sorry for her at times (I can't imagine having to move back home now I've been away for so long - nightmare!) Then I felt excited for her and the prospects that were appearing, I got annoyed at her, was happy for her, frustrated for her and laughed with her through the book. This for me is a sign that there is definitely something about this book that hooks you in, I cared what happened to her and I wanted to kick her up the bum sometimes and yell at her friend for being annoying. This story has a typical chick-lit plot to it, romance, friendship and ending on a very positive note. However what I really did enjoy was the career element that was included, Jessica goes into business with her friend and although there are some hiccups along the way it was great to read how much of a success she was able to make of it. Of course there are always characters in books that you don't like or are not meant to like and there are quite a few in this one, although luckily they are more minor characters and don't crop up too often. I would definitely recommend this mini series if you are looking for a relaxing read! Kate has done a great job on both the short story and full length book! Looking forward to reading more from her in the future! When a freak plane crash kills her sister and the heir to the witches' coven, Katherine Thompson has to step up for the role she was never prepared or trained for. Now being the heir of Sandersville coven, Katherine has to learn how to deal with the people and creatures around her, something which she had previously had little to no knowledge about. Faery wars, trolls who are depressed, unicorns, daemons, and various other strange fairy-tale like creatures are just some of the things Katherine know has to deal with. When her cousin goes missing, however, Katherine learns the darker side of the coven, and things that she never knew about her mother, the Queen...things she was protected from. This book. What can I say...? I don't know where to begin really. I'll just straight up say that I did not enjoy it, unfortunately. At all. When I read the description on Good Reads, it sounded pretty all right. Witches and trolls and daemons, for starters, sounded like a good fantasy sort of novel, and the main character being a 16 year old girl made it a bit YA...two genres I usually love. But then I started reading and I wanted to give up after several pages. Katherine as a character didn't win me over. I didn't like her personality, nor her voice in the story, and the way she did things, and thought things, it was just all a bit...odd. The story is set in the modern day, except that there are obviously witches and other fantasy elements to it, which would have been great, and I can see that being a cool concept and story, but it just didn't work very well. There were depressed trolls who lived under a bridge, and faery who were poisoned and dying off, and then there were unicorns and daemons...and then, to top it all off, there were were-peacocks! What the heck is were-peacock? Ah well. The story line itself wasn't really one that drew me in either. It's in the first few chapters that Rose, the sister, dies, and Katherine picks up her responsibilities. But those 'responsibilities' just sort of seemed like a selection of small events that she had to do, or meetings with depressed and angry singing trolls, and sort out. 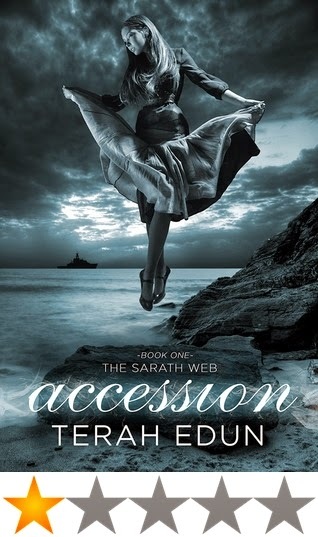 There wasn't really a captivating story line...and her cousin doesn't go missing until the last chapter or two, so it's not even about Katherine using her newly found heir-dom and connections with various fantasy creatures to try and get her back. There are more in this series, so I assume that will happen then. And the writing style was rather confusing at times, and it could have done with another edit. I have to admit that I ended up skimming some bits because I just wanted it to end. I could have easily become a book that I didn't finish. Really sorry for such a downer review, but you win some, you lose some...right? But please don't let me stop you reading it! Read away, my friends. Tell me what you thought, and we'll chat. You can now get this book on Amazon. Thanks to Net Galley for providing me with a copy of this book for an honest review. In Afterworlds we are introduced to Darcy Patel an 18 year old with dreams of being an author. 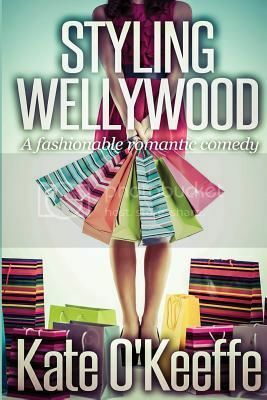 After writing her first novel in just one month Darcy is moving to New York to pursue her dream, much to the disappointment of her parents who want her to go to college. This is no ordinary book, but rather a novel within a novel as in between chapters following Darcy’s journey we are presented with chapters from her debut novel, also titled Afterworlds. Throughout the book Darcy struggles with various issues from how her debut will be received and how to write a worthy sequel. Not only is she having trouble with her career but she is also struggling to see herself as an adult. Intertwined we have chapters of Darcy’s novel which gets off to a scary start as we are thrown into the centre of a terrorist attack alongside her protagonist Lizzie who turns out to be the only survivor. After this initial opening the novel quickly takes a paranormal turn. I was keen to read Afterworlds based on it’s intriguing concept but honestly, I’m not sure how I feel about it on the whole, making this a tricky review to write. I think perhaps my expectations were too high and breaking it down I feel there are a couple of main factors why it didn’t work for me. Looking at other reviews it seems that a lot of readers preferred one of the stories to the other but for me unfortunately neither stood out as a favourite. Initially I liked both stories and read with interest as we follow Darcy on her move to NY and the early part of her publishing journey. Likewise the opening chapter of her novel was captivating and intriguing however as I read on I didn't warm to the characters and started to lose interest in both. To me Darcy’s novel felt slow-paced after the initial scene but the tone fitted in well with the fact that she was a teenage debut author. Throughout the book she worries about the fact that her debut was written in just one month and how the later chapters may not live up to the opening ones and this is reflected in the novel itself – it’s not meant to be perfect. For me the most interesting thing about Afterworlds was the concept and writing process which I’d really love to know more about. The book left me wondering whether author Scott Westerfeld came up with the ‘book within a book’ concept and went from there or if he combined two book ideas into one to create something unique. I’m unsure if there are any plans to release a sequel with the next chapter of Darcy’s life intertwined with those of her sequel referred to throughout Afterworlds as ‘Untitled Patel’. There’s definitely potential to do so but I feel like the book would work best as a standalone leaving the success or failure of Darcy’s debut a mystery. Overall I enjoyed the ‘book within a book’ concept and there were parts I liked but unfortunately amongst other things the paranormal plot just didn’t really work for me. Perhaps if you’re an aspiring author Darcy’s journey into the publishing world may be of interest to you, or if you love paranormal stories then Afterworlds could be one to pick up! - It’s also worth noting that due to the fact that Afterworlds essentially contains two novels, the page count is slightly higher than your average YA novel at over 600. Afterworlds is due for UK release later this month and can be pre-ordered on Amazon now! 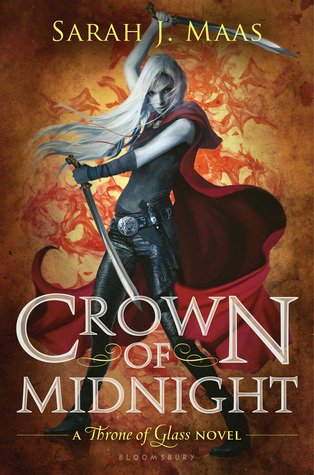 In the months following on from Throne of Glass, Crown of Midnight shadows 18 year-old Celaena Sardothien as she settles into being the King’s champion. Though she has escaped the merciless salt mines of Endovier, she’s swapped one form of slavery for another as she deals with the King’s opposition. But Celaena is far from loyal to the crown. Alongside old friends and current ones, she unveils dreadful truths that put her heart, loyalty and sanity to the ultimate test. Where Throne of Glass had planted the seed of intrigue, Crown of Midnight continued to grip me from page 1 to page 416. Just when we thought we’d seen all sides of Celaena, a certain heart-breaking event caused us to see the ruthless assassin that came within finger’s reach from Endovier’s walls. Instead of growing tiresome with repetitive love-triangle side plots and the protagonist’s ‘filler’ ramblings, as a lot of YA fiction drowns us with these days, Maas has built on the foundations set in her first book, creating a beautiful blend of intense action, heart-wrenching romance, unpredictable characters and relentless betrayal that sends us all screaming. This world is upside-down, nothing is what it seems, and Maas has had a delightful time plotting it, that wily little minx. I felt the same about Crown of Midnight as I had about the final instalments of the Harry Potter series. Though it starts off in the same tone as Throne of Glass, soon the beautiful gowns and moments of harmless flirtation are gone, replaced with a descending darkness that all but engulfs our spicy protagonist entirely. I’m a sucker for a strong, female lead, and though some may disagree with me, Celaena is one of the most balanced and believable characters that I’ve ever encountered in fiction – including those that I’ve created in my own work - yes, I admit it. I was also pleased to see Chaol fitting into a more intimate role, despite the events that later unfold, as the story is told by employing more than one POV. With this method under her belt, Maas has managed to get into everyone’s minds, incorporate everyone’s emotions and relay a variety of subplots that added to the characters and the overall story. To pin-point one minor issue I had with the book was its lack of attention to our big, bad antagonist, the King of Ardalan. I felt that so much work and care went in to building up characterisation and relationships between the primary protagonists and secondary characters that the King was overlooked somehow. I’m certain the final instalment of the Throne of Glass series will delve deeper into the workings behind his madness, but it would have been nice to see a larger preview. I should also say something about Maas’ unpolished writing style but with 50 Shades of Grey having sold 5.3 million copies with its wholly laughable writing style, it’s safe to say that the part of me desperate to criticise has died and shan’t be returning until next spring. All in all, Crown of Midnight is a thoroughly enchanting addition to this captivating fantasy series, appealing to young adult and adult readers alike. It is non-stop emotional journey that keeps you on edge until you’ve turned that very last page. I laughed, I cried, I grew angry and frustrated by the sea of endless betrayal Celaena faced, and now I’m waiting for the magical day Heir of Fire is finally released. *Contains upsetting scenes, strong violence and sexual situations.